Caroline Kampfraath is a Dutch sculptor living and working in Amsterdam. Her works consist primarily of elements that she fuses into the total artwork; often complex, conceptual pieces and installations. According to Caroline each work needs its own material, with which she imposes quite some challenges on herself. These materials may seem an unlikely match but hold our attention due to their contrast. We also find elements from her daily environment in her artworks, such as resin casts of branches and bottles: pieces that carry references or represent fundamental emotions. Her imagery is sometimes surreal, but more often puzzling or even alienating. Caroline is a member of International Sculpture Network. For more information about Caroline and her work, please see below. Caroline was educated in Amsterdam as well as in Pietrasanta (Italy), where she learned to sculpt marble and other kinds of stone. Gradually her work became freer and more layered and ultimately found its definite form in complex, conceptual pieces and installations. Her works can rarely be interpreted at a glance, even though her titles may give a hint to their underlying meaning. In her visual language Caroline often uses symbols such as engorged veins, dead dogs or kidney-shaped dishes. These sometimes-enigmatic elements give her work a surreal atmosphere. 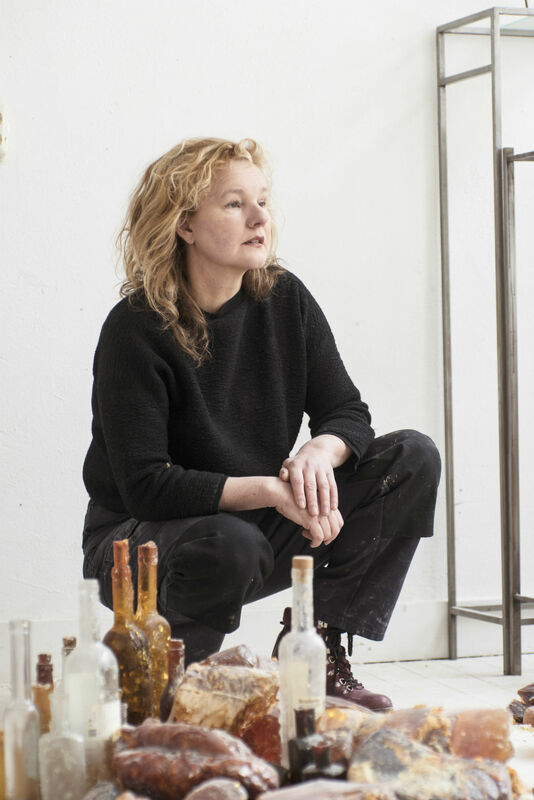 In the execution of her ideas she uses materials as diverse as natural resin, clay, flax, artificial resin, wool, lead, plaster, glass, bronze and stone.